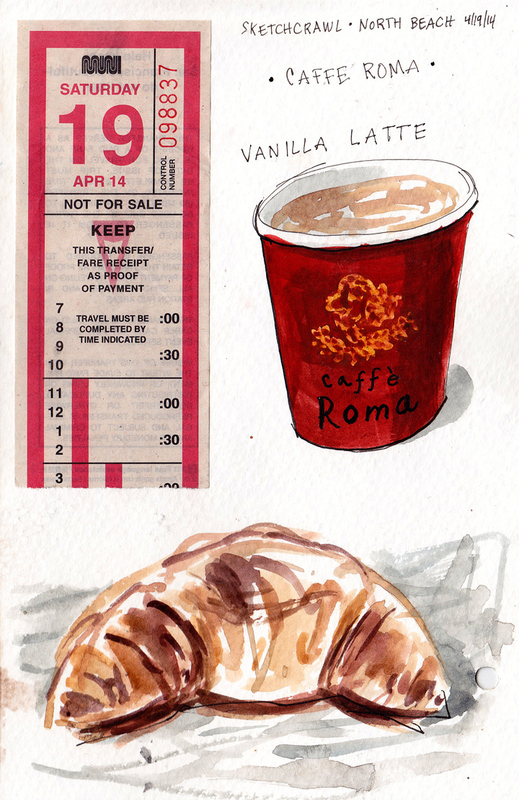 My sketchcrawl would begin with a vanilla latte and a cornetto at Caffe Roma (1.) I then stopped for lunch at Mario’s Bohemian Cigar Store (2.) 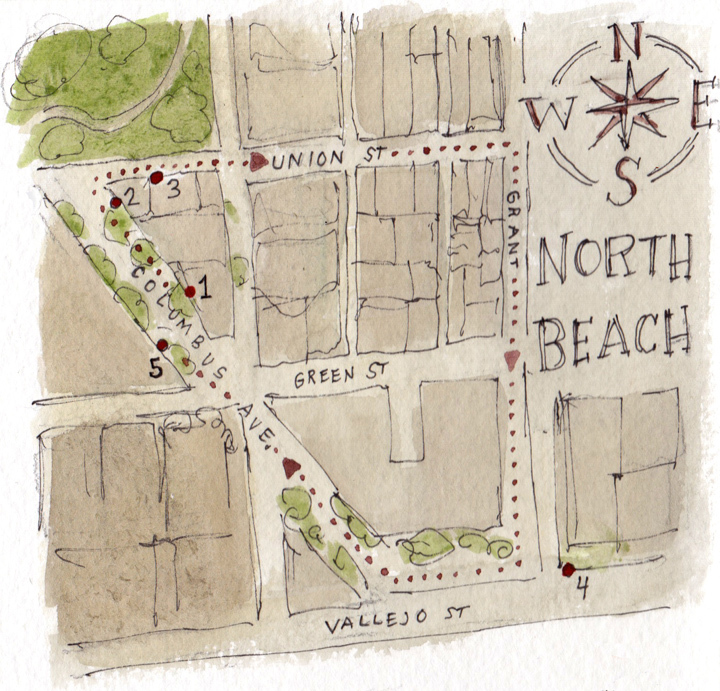 After eating, I rounded the corner on Union and sketched a hat from Gorin Brothers Hat Shop (3.) 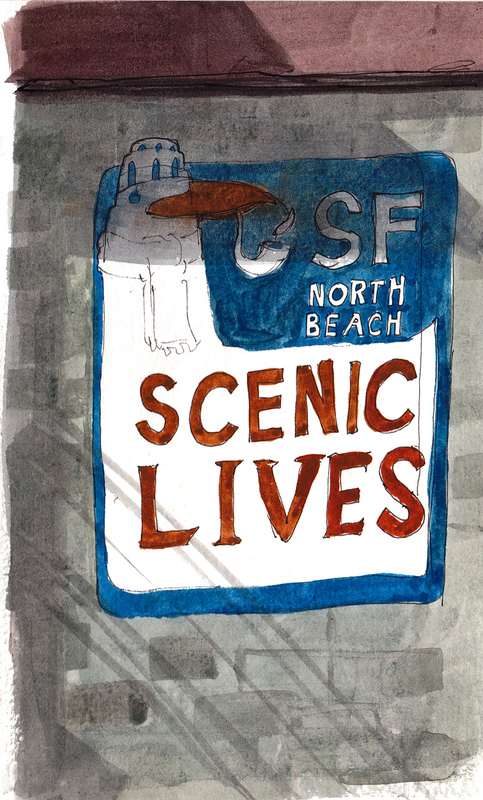 Next I walked down to Grant Street and stopped at Cafe Trieste to paint the sign on the corner of Grant/Vallejo (4.) Finally, I headed back to Columbus and stopped for a second lunch at L’Osteria del forno, (5.) thus concluding my sketch/binge crawl. Would you believe I had dinner later?